Our Products >> The Boy Who Cried Ug! You have heard about the boy who cried wolf, now read about The Boy Who Cried Ug! This book containing 20 colorful pages beautifully written and illustrated by Jeremy Cole is the perfect way to introduce the topic of honesty to your child. Whether you are positively reinforcing your child for being honest, or helping your child who has difficulty telling the truth, The Boy Who Cried Ug! is wonderful reading entertainment. 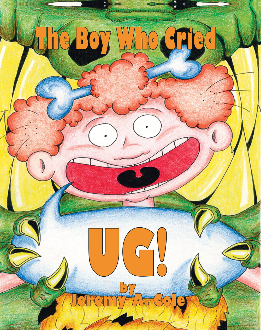 Ug, a prehistoric boy, learns the hard way about being honest. Because of his lies he finds himself face to face with the most terrible of dinosaurs, the Tyrannosaurus Rex.